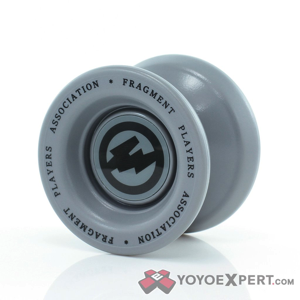 YoYoExpert Blog & Yo-Yo News – Hiroyuki Suzuki Presents FreshThings! 4x World YoYo Champion Hiroyuki Suzuki has launched a new brand called “Freshthings”, and the new releases looks pretty amazing! The first model under his new brand is a plastic yoyo that has everything you have come to expect in a Hiroyuki Suzuki design. If a great performing plastic yo-yo isn’t enough, this is a collaboration with Fragment Design, which means Hiroyuki is working with legendary streetwear designer Hiroshi Fujiwara! These limited edition collaborations are a true piece of functional art and won’t last long! The first model under his new brand is a plastic yoyo that has everything you have come to expect in a Hiroyuki Suzuki design. 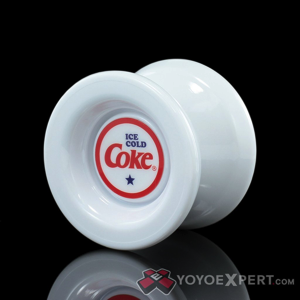 If a great performing plastic yo-yo isn’t enough, this is a licensed collaboration with Coca-Cola! It is available in two different designs: one featuring the Japanese Coca Cola logo and the other featuring a classic Coke logo that appears to be from the 1980s.